WINNER! Natural Health & Beauty Awards 2010!Twinkle toes! Feet need looking after, so a little of this refreshing foot cream will be a step in the right direction! A creamy blend of nutritious oils rizzled with tropical tangerine essential oil. 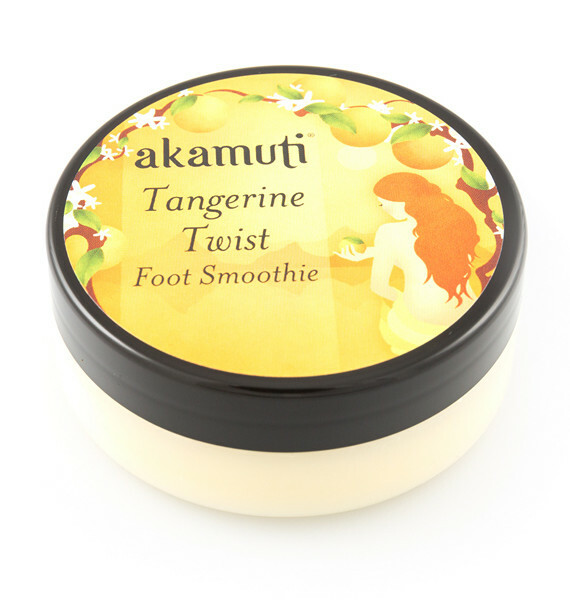 A zesty combination to moisturise & soothe hard tired skin & invigorate feet in need of a treat! Apply a small amount & massage well into clean feet. Sweet Almond Oil (Prunus dulcis), Apricot Kernel Oil (Prunus armenica), Organic Beeswax (Cera alba), Peach Kernel Oil (Prunus persica), Red Mandarin Essential Oil (Citrus reticulata), Organic Sweet Orange Essential Oil (Citrus sinensis), Tangerine Essential Oil (Citrus reticulata), Myrrh Essential Oil (Commiphora myrrha). Limonene* Linalool* *Please be assured that these are NOT added ingredients. They are simply the natural constituents of the essential oils used in the product. EU law requires these constituents to be listed on all future label print runs. If you have any questions, please ask.